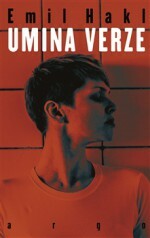 Writer, recipient of several literary awards including two Magnesia Literas and the Josef Škvorecký Award. One of our most appreciated and widely translated contemporary authors, his books have been published in many languages including English, German, Dutch, Swedish, Italian and Norwegian. His real name is Jan Beneš and he was born on 25 March 1958. 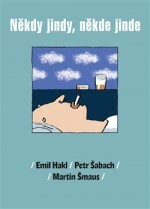 From Hašek to Hrabal…, Czech heretics have given satirical heft to the profane digressions of Bohemian boozers. Emil Hakl, a leading figure on Prague’s post-Soviet literary scene, belongs in their ironic company. Emil Hakl studied text creation at the Jaroslav Ježek Conservatory. He worked for an advertising agency and as a journalist. His first publication was the poetry collection Rozpojená slova (Disconnected Words, Mladá fronta, 1991), which was acclaimed by the critics as a successful underground debut. 2000 saw the publication of the collection Zkušební trylky z Marsu (Experimental Quavers from Mars, Chem, 2000), after which he abandoned poetry and focused on fiction. 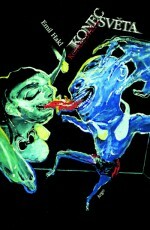 His first collection of short stories was published under the title Konec světa (The End of the World, Argo, 2001). The writer Václav Kahuda urged Hakl to focus on writing based on personal material rather than the coded messages in his poetry. And so Hakl has set out that way from his first novel – his existential environment is made up of pubs and the types who are to be found there more than at home. 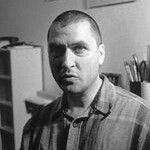 “From the perspective of pub talk, which is not banal triviality, but transforms itself into an existential clinging to life, and from experience as a kind of free act, Beneš comments on his surroundings with a cool, “Biedermeyer” maturity, and the only things which are genuinely alien to him are smiling, ambitious careerists or verbose intellectuals,” wrote Petr Vaněk in a review of the short stories for iLiteratura.cz. 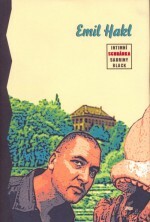 There then followed Intimní schránka Sabriny Black (Sabrina Black’s Intimate Box, Argo, 2002), a heavily autobiographical novel and testament of a man at the end of the 1990s. 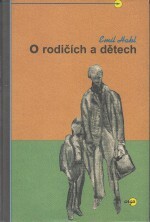 In the same year Hakl also published the novella O rodičích a dětech (Of Kids and Parents, Argo, 2002), which was awarded the Magnesia Litera for prose the following year. The meeting of a father and son, recorded in a single dialogue, shows us Hakl’s skill as an observer. Five years later the director Vladimír Michálek took this sequence of stories and memories and turned it into a film. The book, meanwhile, has been translated into twelve languages, including English, German, Swedish and Italian. 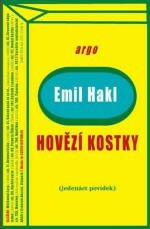 Hakl’s next collection of short stories, O létajících objektech (On Flying Objects, Argo, 2004) was published in 2004, and four years later the novel Let Čarodějnice (Flight of the Witch, Argo, 2008) came out. “Flight of the Witch is first and foremost about the novel’s language, more so than any of Hakl’s other works. The author puts on his most hilarious linguistic exhibition yet, the titles are on the rude side, to leave the reader either shaking his head or guffawing along. Hakl, like Bohumil Hrabal, still leaves room for his acute sense of prose,” wrote Petr Vaněk about the novel on iLiteratura.cz. 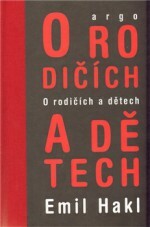 Two years after Let Čarodějnice, Hakl came up with his most successful book to date. Pravidla směšného chování (Rules of Ridiculous Behaviour, Argo, 2010) won the Josef Škvorecký Award, was nominated for a Magnesia Litera in the prose category and came second in the Lidové noviny newspaper’s Book of the Year 2010. Hakl continues the previous dialogue between father and son from the book O rodičích a dětech. 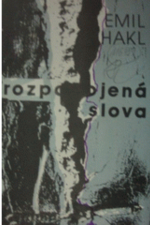 Pravidla směšného chování shows Hakl as the masterful writer that critics in Czech literature have been calling for over the past fifteen years. In the same year Hakl revised his first novel, Intimní schránka Sabriny Black, which was published with the sobriquet Final Cut (Argo, 2010). The novel Skutečná událost (A True Story, Argo, 2013) gives three sad parodies of men who in their spare time (of which they have more than enough) play computer games, drink or dye their beards in an effort to make it clear that even those in their forties can be young at heart. In 2014 this book gave Hakl his second Magnesia Litera for prose. 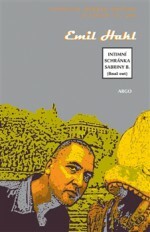 The author brought out his third collection of short stories entitled Hovězí kostky in 2014 (Beef Cubes, Argo).